Bespoke is thrilled to announce details of their latest awarded contract in Stoke-On-Trent. This new 525,000 sq ft distribution centre will be occupied by popular homeware firm, Dunelm. 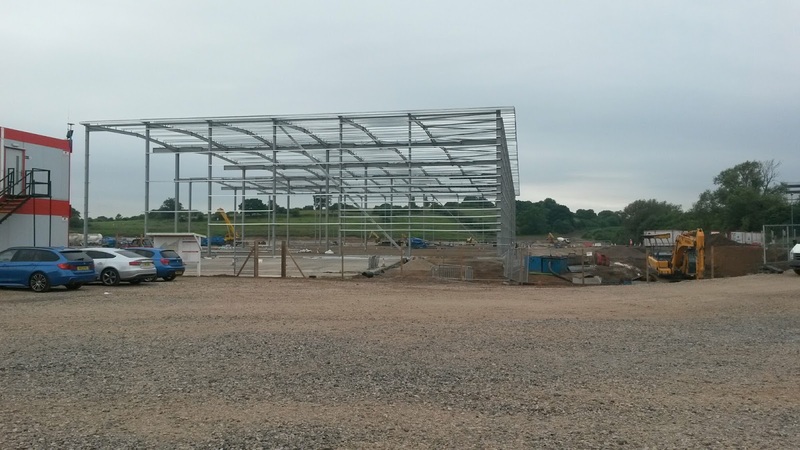 Situated within the Sideway industrial park and in the shadow of Stoke City's Britannia Stadium, this new warehouse is in a prime position to help increase distribution to homes and stores across the country. 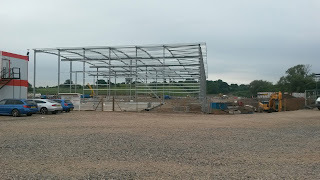 Dunelm already have 2 warehouses in Stoke employing 266 people, but due to their continued growth they require a third plot to store and distribute even more products. The opening of this third distribution centre is set to make another 100 jobs available. Works begin in August and will involve the comprehensive fit-out of two offices as well as a gatehouse. This will include partitions, drylining, joinery, carpentry and the installation of kitchen facilities and suspended ceilings. This is Bespoke's second time in the Staffordshire city within a matter of months. Click here to see the end result of the recent expansion at Screwfix's warehouse and offices at the nearby Trentham Lakes.